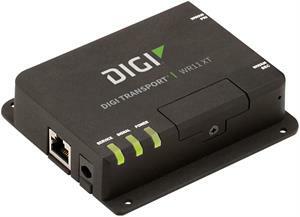 Digi TransPort® Routers offer a variety of network options for retail, enterprise or commercial grade applications. The Digi TransPort WR11 gives network management professionals a secure, reliable, and low-cost 4G LTE connection. The Digi TransPort WR21 is a full-featured cellular router offering the flexibility to scale from basic connectivity applications to enterprise class routing and security solutions. The Digi TransPort WR44 cellular router is an all-in-one mobile communications solution with true enterprise-class routing, security and firewall. The Digi TransPort LR54 is a high speed LTE Advanced networking platform designed for self-service, retail and managed networking applications across distributed enterprises.